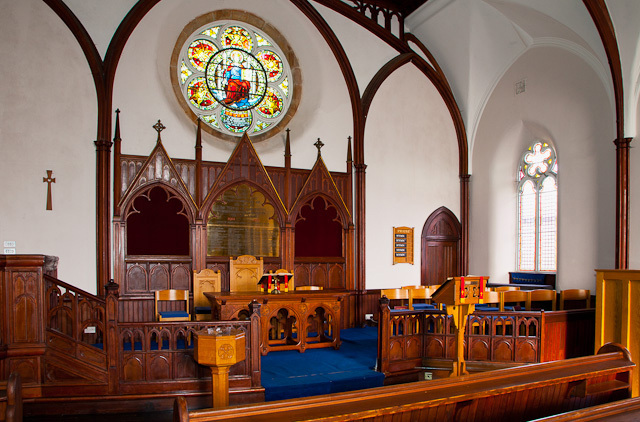 There has been a parish church in Tobermorys upper village since 1828- the original building was replaced by the current Victorian gothic style building in October 1897 and since then additions and improvements have been made, most notably perhaps, the church hall, which was built in 1890. 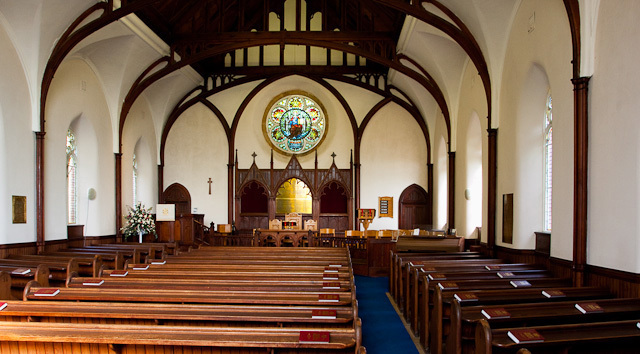 The present church’s interior whilst not being lavish is comfortably furnished and many items bear testimony to Tobermory’s history and also to the generosity of previous churchgoers. These items include the colourful rose window, the lectern, the baptismal font and very recently, a new organ. 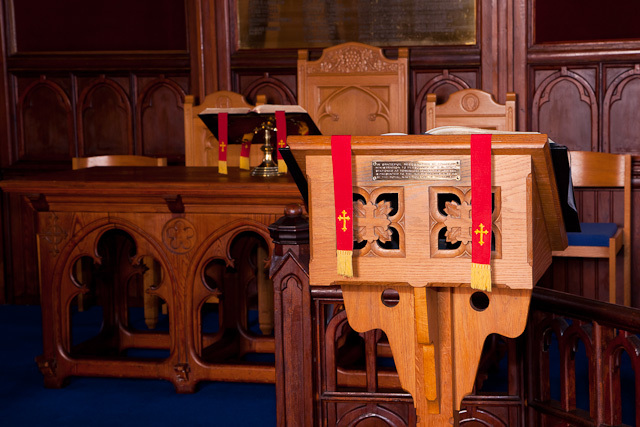 Many Church activities take place, due largely to a very busy session clerk and a willing and active congregation who take responsibility for the day to day running of the church. A multitude of rotas ensure that all goes according to plan and all volunteers are in the right place at the right time! The congregation gathers together on Sunday mornings at 11 am for worship, which is aided by the organist and choir. Tea and coffee are served in the hall after the service providing a great opportunity to welcome those on holiday, newcomers to the church and also to catch up with friends. A quarterly newsletter keeps the congregation up to date with recent and planned events and is also distributed throughout the community. Other links with the community include a monthly outreach service at the sheltered housing complex in Tobermory and regular visits to nearby Tobermory High School by the session clerk. 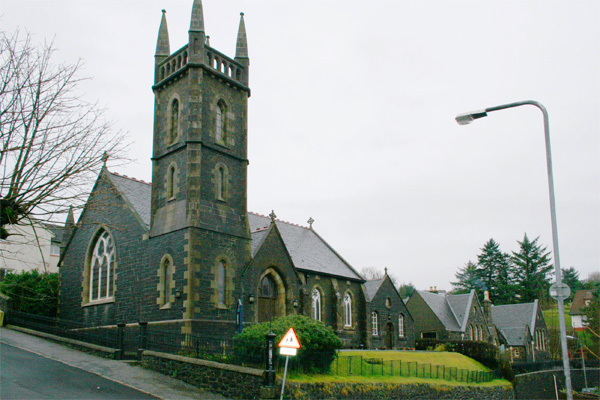 The church is a popular concert and wedding venue and the church hall is in regular use throughout the year for fundraising activities e.g ceilidhs, soup lunches and sales. Whilst these activities are often aimed at enhancing church funds, the congregation also recognises its responsibility of giving to local and national charities. 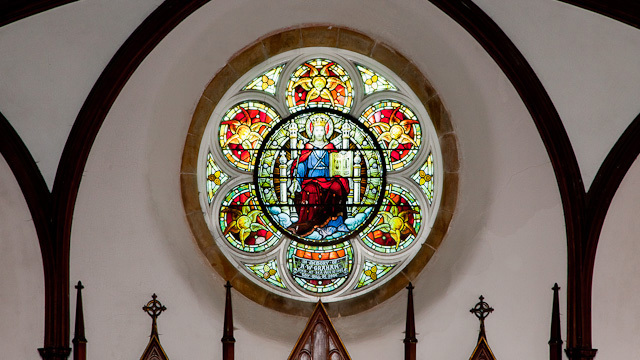 As a congregation we are very aware of the spiritual and structural heritage bequeathed to us and pray that we can be wise and trustworthy stewards and accordingly, an ambitious refurbishment of the church is expected to start in 2011. Exterior work will ensure that the building remains wind and water tight whilst new heating and lighting systems will provide an efficient yet comfortable worship environment for the generations to come.